A second set of works center on Friedlander’s own bookshelves and the tabletop displays of family photographs and personal memorabilia in his home. Elementary school pictures of children and grandchildren are clustered amidst the books, overlapping and mixed together with a Polaroid of Friedlander with Bill Clinton, a post card of Tina Turner, a sheet of postage stamps of Ella Fitzgerald, and the words “best grandpa”. There is also a layer of intellectual voyeurism here, achieved by considering which great novels have been selected and saved by the photographer over the years. This is a much quieter and more personal view of the artist than we have seen before, and one that is clearly steeped in the passing of time. But these images are less recognizable as signature Friedlander, as the jolting compression and abstraction of the picture plane is meaningfully less pronounced. A third group of pictures uses flowers and plants as its main subject matter. Several of these works take a straight top down view of the flowers in vases, using the shadows of the window frames and nearby Adirondack chairs to create additional patterns and intersecting lines. While the rest of the vegetation images are a jumble of intertwined plant types, these unexpected bird’s eye floral views are something we haven’t seen before; they’re an unusual motif we’d like to see Friedlander explore more deeply and exaggerate even further. My favorite picture in this show doesn’t fit into any of these neat groups. It mixes fishing tackle (lures, weights, and gloves thrown onto a piece of plywood) with a shadow self-portrait. The plywood table bisects the picture plane, creating two layers of different depth; it’s a classic Friedlander visual puzzle to be carefully unpacked. Overall, while there are a handful of excellent pictures in this second collection, this work is less consistent than the images in the previous show. Perhaps it merely comes back to a question of editing; even when you are as talented and prolific as Friedlander is, maybe there just aren’t enough astounding new pictures to fill two big gallery shows. 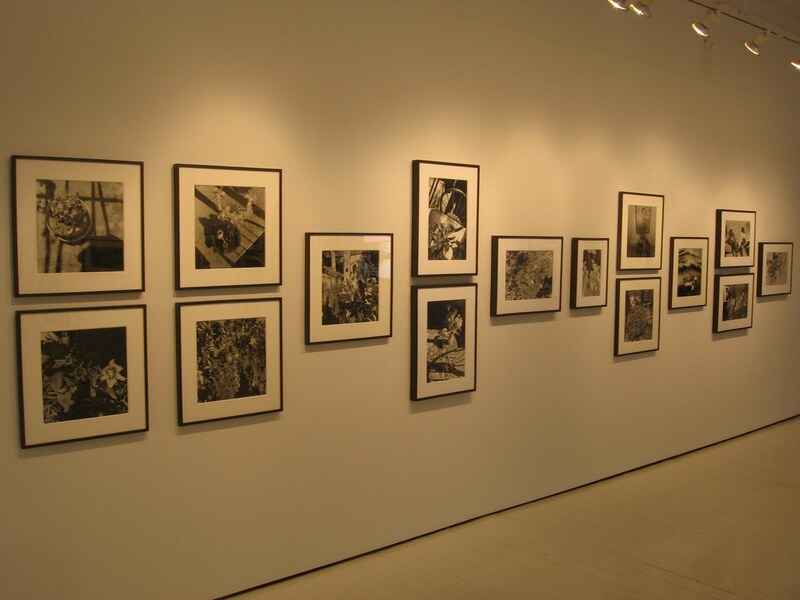 Collector’s POV: Once again, the prints in this show are priced at $5200 or $7400 based on size. The market for Friedlander’s work has not changed in the past month, so see our previous post for details about secondary market pricing and recent auction history. Read more about: Lee Friedlander, Janet Borden Inc.